My name is Richard and I'm new to this forum. 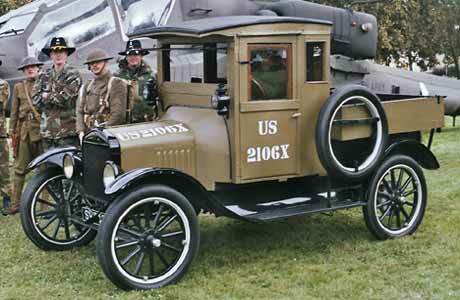 I'm a World War I US Navy reenactor and I'm looking for info on a cab design used on another Model T shown in the attached photos. 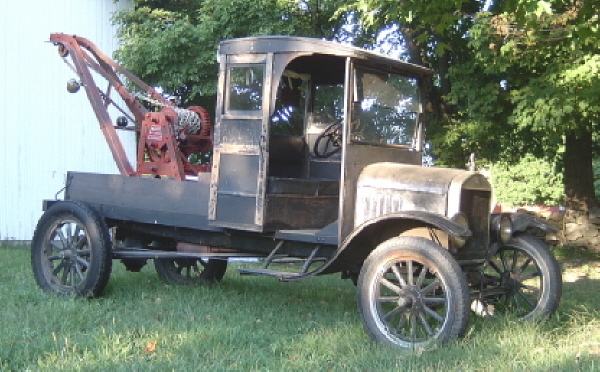 Does anyone on this forum happen to have plans to this type of cab I could use for a future project on a 1917 chassis? Look forward to any assistance! Thanks! Hopefully you will build one more authentic than the one shown above. Looks like a '19 or later. The war was long over. Authenticity aside, it sure is a nice looking little pickup truck! I was very tempted to use the phrase,....."cute little truck", however, I try to avoid the use of the word "cute" with Model "T's, but sometimes, like in this case, that's a description that really does fit! Harold you are not allowed to comment on my T pickup! "I could be wrong but I am inclined to believe that it is made up. The Army had purposes for their vehicles. This vehicle does not appear to have a utility purpose. Too small for cargo, too small for ambulance, no payload for people. The Army had full-sized sedan cars that could haul more than this. Maybe someone got hold of a picture of an experimental design, then made a vehicle from that? The truth is, unless the vehicle is supported by some photographic evidence then I am inclined to believe it is a fantasy design." John - I happen to know that that's NOT your truck, 'cause your truck is air-conditioned! Machine gun mount in back of bed in second photo. Mike I read the article on the internet that those truck pictures came from. According to the website that little truck is a post war utility vehicle. The x in the serial number denotes that it was a civilian vehicle pressed into military service. 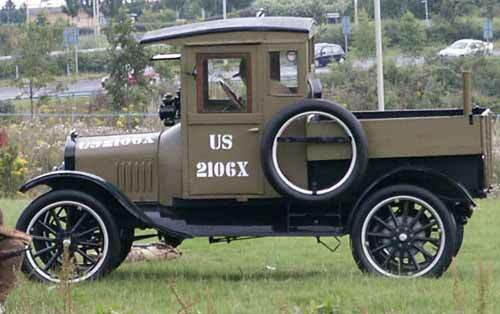 That truck is very similar to one made by H. H. Babcock at Watertown, New York. Unfortunately it was patented after WW-1 ended. which was sent to Washington a few days ago. T. W. Walsh of the Babcock Company, who accompanied the ambulance body to Washington, has returned, but Captain Smith, the army officer who has been connected with the work in the local plant, is still in Washington. Captain Smith will confer with government officials at Washington concerning the changes in the ambulance body and any additional changes or modifications suggested by the government officials will be notes by him so that they can be made at the local plant. He probably will return within a few days. The Babcock Company has already made a large number of ambulances, many of which are now in use by the government. The body which was sent to Washington a few days ago embraced a number of changes. Mr. Walsh was sent to the capital to see that the body was shipped through without delay and to assemble it upon its arrival there, Captain Smith went as the government representative.